Jobi Pro offers a comprehensive contractor service software solution that connects your business to residential and commercial clients with incredible reliability and convenience, allowing you to focus on providing the quality works that will keep them coming back for more. Founded by Joe Crisara, who boasts well over four decades of experience in the field of contractor services, Jobi understands the needs of your business as well as the clients. Through the use of modern technology and seamless integration with the other aspects of your venture, managing your business (even when you’re on the go) has never been easier. 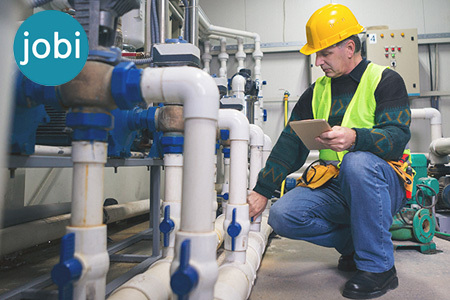 Jobi is ideal for businesses that provide any type of field service, including plumbers, electricians, and HVAC services. While there are many contributing factors to consider when running your venture, ensuring that appointments are managed in perfect style should sit atop the agenda. After all, the more clients you get to see, the more money you will inevitably make. 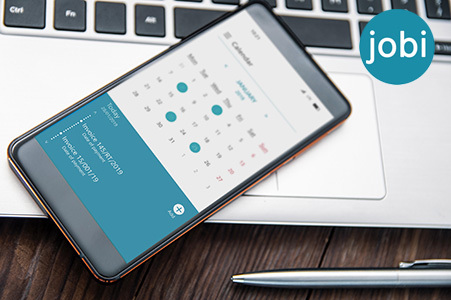 With Jobi, the power or scheduling and appointment management is in your pocket. 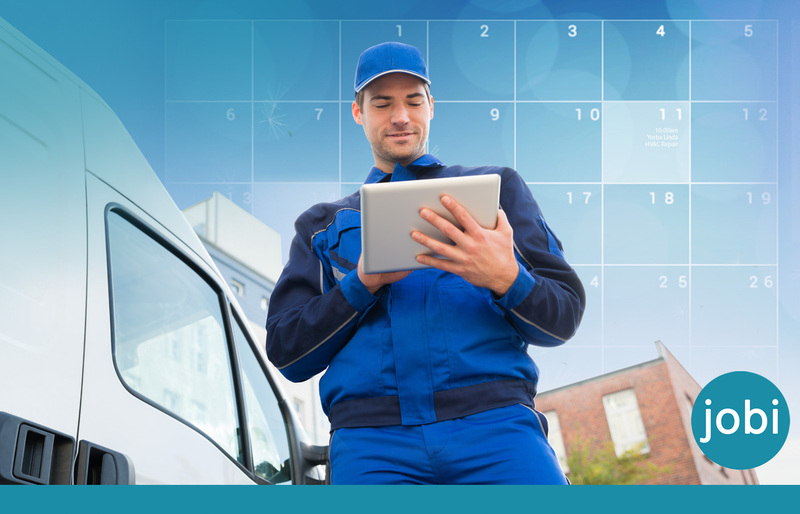 Field services contractors can schedule service visits, route customer service visit, and contact clients all through the App while business owners can also use GPS facilities to track technicians. This all leads to an unrivaled level of transparency for all parties, which can only encourage smiles from clients and company directors alike. The fact that client details are stores also creates a smoother process throughout all aspects of the service agreement, including payments and post-completion support, while arranging further visits or additional services becomes a simple task. The use of paperless service agreements that enable the business to capture digital signatures is particularly useful when securing business. 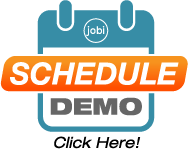 Whether you’re a local sole trader or the owner of a nationwide contractor service business, the Jobi App is the perfect job scheduling software for managing client projects and team members in one fell swoop. The simple interface means that all employees and customers will be able to reap the benefits with instant results. It is the best service dispatching software on the market. While providing a world-class service is where your business thrives, getting paid is actual goal. For this reason alone, adopting Jobi Pro should be considered an essential assignment by any company working in the contractor services arena. The software makes the invoicing process faster, safer, and easier to manage from an accounting perspective. Moreover, having all payment data stored in one digital location removes the threat of forgetting to chase outstanding invoices. The real-time paperless invoicing facilities allows technicians and businesses to accept payments and manage all aspects of the associated accounting data in a simple and secure fashion. The payments can be accepted as one-off purchases or as recurring direct debits. Meanwhile, the digital signature and payment card capturing capabilities allow for a far more convenient approach that also delivers instant processing. With so many payment options accepted, it should be a suitable option for all customers irrespective of whether they are homeowners or B2B clients. Jobi’s flexible approach to invoice management is additionally shown by its ability to be integrated with field service Quickbooks, PayPal, Authorize.net, and Stripe. So, whatever service your business is already using, it’s likely that you’ll be able to adopt Jobi without any major transitions. Aside from removing potential headaches, this allows you to focus on enjoying the benefits of the software right away. Moreover, the invoicing template system creates a smooth and accurate process for all parties. Invoices carrying the various branding details and project details can be created in a matter of seconds by your technicians, which also makes life a lot easier when it comes to processing the accounts. The concept of paperless service agreements for contractors can now be mastered with ease. No two jobs or clients are the same, which is why offering a versatile range of services is ideal for all contracting companies. Whether used as an HVAC contractor App, plumber contractor Apps, electrician contractor App, Jobi has you covered. In addition to offering great scalability for growing businesses, as well as paperless and instant technology, the field service management software allows companies to set different pricing brackets. This allows businesses to offer multiple tiers of service. For example, you could have budget services, mid-range services, and high-end services in order to accommodate all clients and projects. Meanwhile, the ability to import existing flat rate pricing information and offer product upgrades and additional items like warranties allows you to provide customers with a tailored service. In turn, this should lead to greater conversions and increased business. Better still, the increased transparency is sure to be a firm hit with technicians and clients alike. 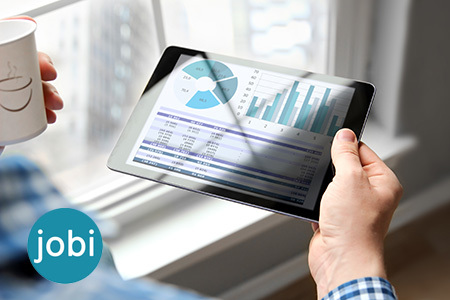 Aside from facilitating the flexible approach to project agreements – as well as the easy scheduling and invoicing – Jobi provides insightful analytics that are presented in a visual manner. Managing the team and the client projects becomes far easier while the CallRail call tracking integration is another worthy addition that can be very useful during client disputes. Jobi’s contractor service software truly ticks every box for technicians and business owners, providing a fast, secure, and convenient way to handle agreements, scheduling, and invoicing. With automation across the board, the communication between business, technicians, and clients is better than ever. Ultimately, this can be the platform for growth and sustainability. Statistics show that Jobi Pro helps businesses increase their revenue by over 378%. Technology is used throughout many aspects of contractor servicing business matters, and this shouldn’t be any different. Jobi Pro is the best contractor service software solution for HVAC, electricians plumbers, and related businesses. Give us a call to discuss the needs of your business today. You’ll be amazed at how quickly the incorporation of this software can transform the venture.